Encourage best practice with customizable client popups. 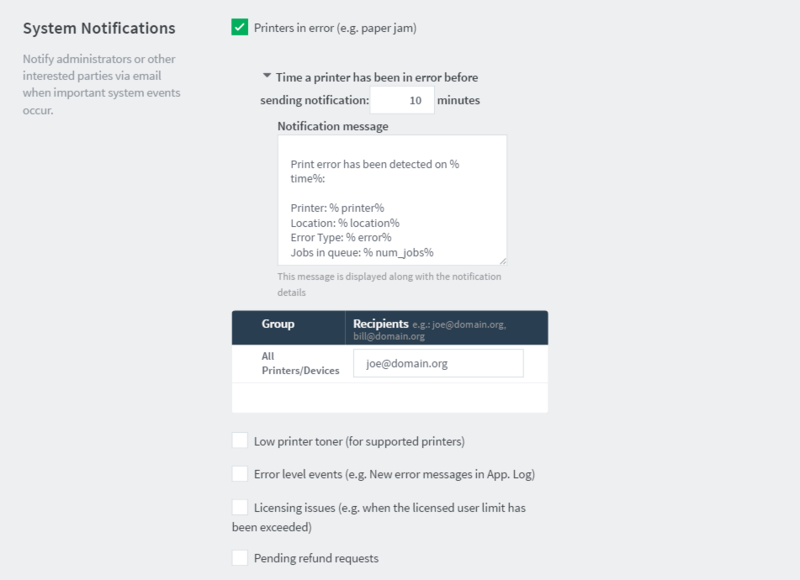 PaperCut's print policy management is powered by advanced scripting and can be quickly tailored to meet organization printing requirements. Page-level color detection - users are only charged the color rate on pages that actually contain color. Automatically convert student printing to duplex or grayscale. Automatically detect and delete duplicate jobs. Prevent large jobs from being printed on slow printers. Stop jobs of certain names/types. A great way to stop someone accidentally printing the "accounts.xls" file that results in 20,000 pages! Catch invalid paper sizes. No more "manual feed" or "Load A5" blinking messages! Restrict access by domain group, maximum cost, color mode, size and more. Filters are backed up by customizable messages. These can be used to inform users of why restrictions are in place. For example, "This job has been denied. Please don't print jobs over 100 pages on the ink jet printer. Use laser printer X instead." For advanced usage, filters may be combined with print scripts. This provides functionality like automatically converting printed emails to grayscale (i.e. do a conversion based on the application type). 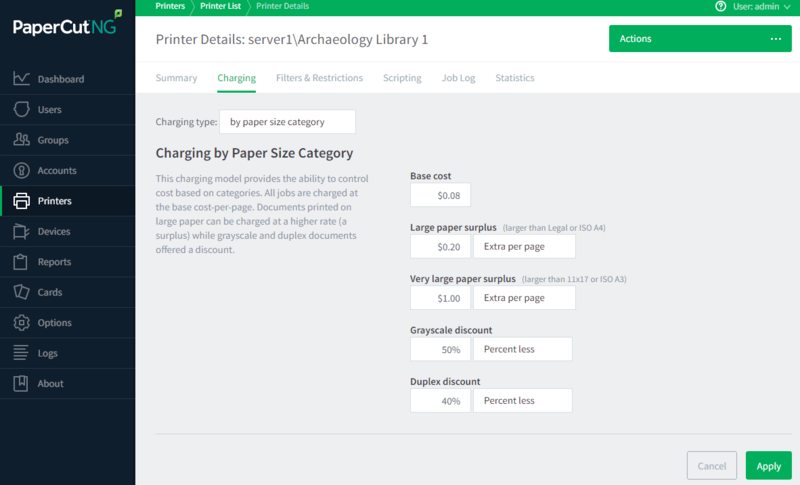 PaperCut provides printer load balancing functionality. See the Clustering and Load Balancing tour section for details. Track printing expensives via department, work area, cost center, client.